(17/P116) TRENTON – The Christie Administration today marked the state’s continued success in improving air quality in New Jersey by announcing a partnership between the Department of Environmental Protection (DEP) and New Jersey Department of Transportation (NJDOT) to fund three new air-quality enhancement projects targeting mobile sources of pollutants. The two agencies are working with regional transportation planning agencies to use $9.5 million in funding from the U.S. Department of Transportation to establish grant programs that will add electric-vehicle charging stations across the state, provide electric power for trucks that require climate control during shipments, and provide cleaner state-of-the-art engines to New York Harbor ferries. The projects have passed the preliminary project selection process, and are awaiting further review and approval before receiving the federal funding. 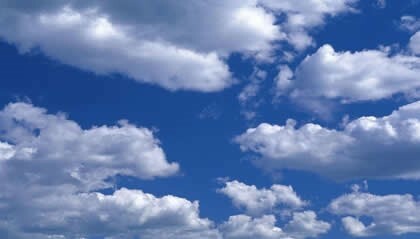 These projects will reduce pollutants that contribute to the creation of ozone-smog, as well as particulates. The cumulative effect of the projects could result in reducing particulates and the chemicals that contribute to the creation of smog by 167 tons annually, the equivalent of removing 45,000 cars and 1,300 tractor-trailers from the roads. New Jersey’s Metropolitan Planning Organizations (MPOs) worked to solicit projects for the federally funded Congestion Mitigation and Air Quality Program (CMAQ), administered by the U.S. Department of Transportation. The CMAQ Program uses a competitive process to advance readily implementable projects that improve air quality. The North Jersey Transportation Planning Authority (NJTPA) and South Jersey Transportation Planning Organization (SJTPO) have partnered with the state in developing these air-quality enhancement projects. The first project builds upon the success of the DEP’s successful It Pay$ to Plug In electric vehicle program, launched last year. 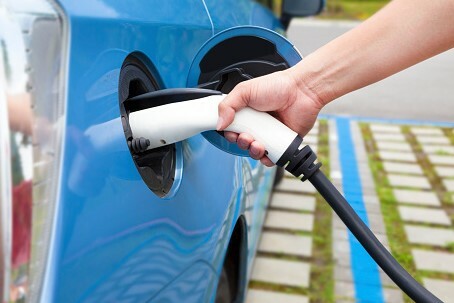 This joint effort with the New Jersey Board of Public Utilities has awarded nearly $850,000 to fund 180 workplace electric-vehicle charging stations. The additional CMAQ funding could lead to up to 500 new charging stations, helping to meet rising demand. The second project will reduce diesel emissions from trucks that need to keep refrigerated goods at the proper temperature while loading and unloading shipments. This program will allow trucks to plug in and keep goods cool while greatly reducing annual emissions of ozone precursors by 51 tons and particulates by 12 tons. The third project, the Marine Repower Program, builds on past DEP successes in reducing emissions from passenger ferries by proposing to fund additional marine vessel engine refits for the SeaStreak, Spirit Cruises, and Truex lines. Due to the long life-expectancy of marine engines, this program could see significant long-term emission benefits as well as fuel savings for line operators. Each of these projects builds upon the state’s history of reducing emissions from mobile sources. Particulates and chemicals in diesel emissions are linked to cancer and other health problems. Ozone exacerbates chronic lung conditions, such as asthma, particularly in vulnerable populations such as the young and elderly.